I could not have captured these sentiments better myself. This is my first opportunity to participate in Blogging for LGBT families day. I’ve read blogs in past years on this day, but never had one…until now. What a great concept to build community, visibility, and compassion. Which is really what my blog is all about. I didn’t really know how, in particular, I wanted to approach this day. So I decided that I’d stick with my theme and share thoughts about my mothering journey, which is really all about a lesbian family. What I’ve found since I’ve really started to pay attention to my own stereotypes, discomforts, and biases as I work to support and raise a healthy, gender-boundary-pushing son, is that allies are out there everywhere. When I worry the most about him announcing his love for purple or fairies or dresses, I’m most likely to be smacked in the face by compassion. Those are the moments that I love the most. It’s really because they are the most painful and cause me to peel away my biases about people and their perceptions of the world. At first, I worried that straight folks would have the hardest time dealing with Q not fitting entirely into the boy gender mold. My worry, though, was a path directly into confrontation, as I realized that many of those straight folks are perhaps more understanding, more willing to embrace a boy outside of “gender guidelines” than some queer folks. While I haven’t experienced any discomfort from queer folks directly, I have definitely been heartened by the understanding, support, and compassion that straight parents of Q’s friends have shown him, which revealed to me the stereotypes that I have around sexual orientation and its correlation with open-mindedness. So yes, once again I my own stereotypes and narrow-minded thinking come back to smack me in the face. But in a good way, because I do believe that with that smack comes an opening of the mind, a relaxing of my defenses. And ultimately more love for Q. Just yesterday, as we celebrated Q’s birthday, he received, among other things, two books about fairies. And that just made my heart glow. His friends and their parents know of his passion for fairies, and as opposed to sidestepping that passion and getting him something perhaps a bit easier to stomach as a gift for a boy, they boldly stepped out to gift him these books. Amazing. I know it’s a small act, but I do see it as an act of compassion and understanding. And an act that shows me the support that our small little lesbian family finds within our community. Most important, for me, is how that support manifests for my dear boy. 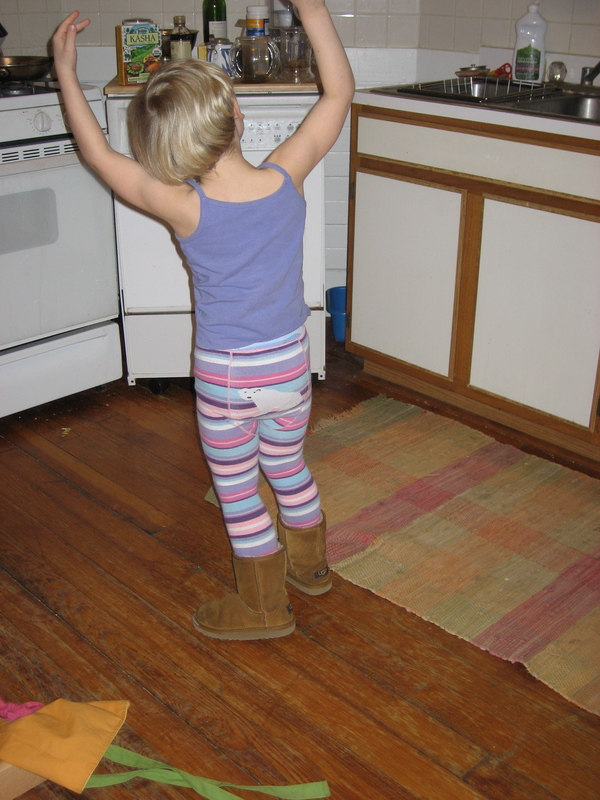 So blogging for LGBT families…I think I do it every day. I blog as a way of making my family visible and building support out in the world for others like us. I blog to create a closer-knit “family”/community around us for the moms and our boy, and I blog, honestly, as an exercise in expanding my own compassion, open-mindedness, and understanding. So here’s the thing: My son loves fairies. Loves them. He can’t read enough books about fairies. He sees fairies out in the world. He has two fairy friends (albeit introduced by me, but propagated by him) who live in his bedroom. They communicate through written notes. So why does a book about fairies have to be a GIRLS’ book? Really. 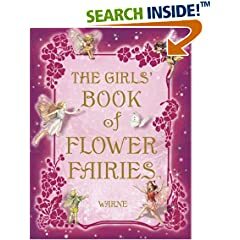 I know that fairies “typically” fall into the category of “girl things,” but oh how I wish that authors or publishers did not feel compelled to label this book about fairies (like so many other things) with the gender of children for whom they (wrongfully) intend it. This narrowing of the market also narrows our collective consciousness. Even if someone knew that Q loved fairies, I’m certain they would not share this book with him. It’s for girls after all. And now it sends the message to anyone and everyone that fairies are only for girls. 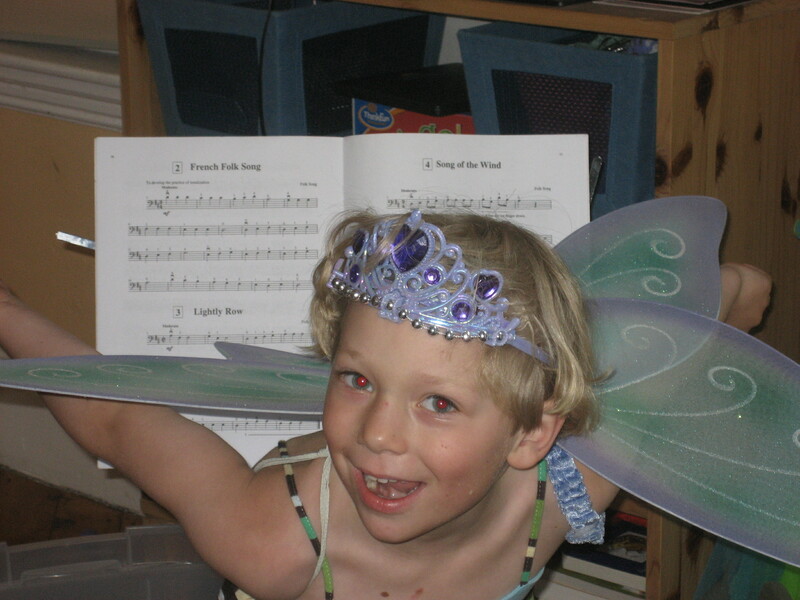 And, most importantly, sends the message to boys that, if they like fairies, that is wrong. Or they are really girls. So much for the broadening and opening of minds. Of all things, I see literature as a place where Q can open up his imagination. He can see himself in any character, because that happens in his imagination. And he has done this with books about fairies to this point. Even though they feature mainly female characters, he identifies with them, delves into the stories, brings them alive in his life and his play. And I fear that once he can read he will see labels like the ones on the book above and they will send a message, loud and clear, that something is wrong. This book (and these kinds of books) are not for him. Or, if they are for him, something must be wrong with him. And that narrowing of choices and possibilities angers me. Beyond belief. I have a son who loves fairies. Please, just let that love flourish as opposed to being shut away by some external source that is trying to align with social norms. And in so doing unwittingly promoting them. I’ve been searching around for a real purpose to my blogging, and it finally struck me the other night. As I cuddled up with my lovely 5 year old boy, who nuzzled his head right into the space between chin and shoulder, I thought about him, clothed in his lovely lavender blanket sleeper, having just read a book about fairies. He’s of a different ilk, this boy. He walks to the beat of his own drummer. He sees the world through different eyes. I think he’s very free, in many ways. He chooses what he likes freely, he follows his passions freely. And luckily he’s found a way to develop these passions free (or in spite of) many of the societal norms thrust (HARD) upon boys. Although he refused to like pink for 8 months and cried his eyes out after finally admitting that he was told that pink is only for girls but he “really loves it,” he is mostly steadfast and unburdened by his love of purple, headbands, fairies, and such. I marvel at this fact often. While we’ve tried to raise him without the boundaries put on boys (or girls for that matter) because of their gender, we live in a world that screams out those boundaries at every turn. So they are hard to avoid. So I marvel at his ability to avoid them or to stand so firmly in the face of them. And that’s what this blog is about — the considerations of his journey. How we’ve gotten here, where he’s going, the bumps, messages, and judgments that the world offers. There’s much I have to figure out about raising this boy confidently and lovingly and with an independence to continue to follow his dreams and passions, whatever they might be. So that’s why I’m here. And I hope you’ll join me, because this surely is not a journey to embark upon alone. It takes many strong and steadfast partners, for sure. And please add your wisdom at every turn. I rely on it.